Get drafted in 1st overall to an NHL® team in Be A Pro with a created Pro. Sign an Endorsement in Be A Pro with a created Pro. Be invited out by one of your teammates in Be A Pro with a created Pro. Have your Fan likeability meter full in Be A Pro with a created Pro. Have your teammate likeability meter full in Be A Pro with a created Pro. Have your management likeability meter full in Be A Pro with a created Pro. Have your Family likeability meter full in Be A Pro with a created Pro. Edit your created pro in Be A Pro. Acquire 50 million dollars in your career in Be A Pro with a created Pro. Knock off the opposing goalie's Gatorade bottle from the net by scoring a goal. Win a title from any conference in Hockey Ultimate Team Seasons. Win a Hockey Ultimate Team Seasons Playoff Championship. Get your first division promotion in Hockey Ultimate Team Seasons. Win the League Title in Hockey Ultimate Team Seasons. Have a perfect season record in Hockey Ultimate Team Seasons. Collect at least one Player item from each of the NHL® teams in Hockey Ultimate Team mode. Collect at least one Player item from each team in Hockey Ultimate Team mode. Buy 25 card packs from the Hockey Ultimate Team Store. 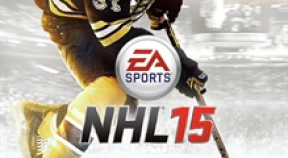 Buy and/or sell 150 items in the Hockey Ultimate Team Auction House. Collect a Stars of the Week player item in Hockey Ultimate Team mode. Redeem Coins in Hockey Ultimate team.